When Edison made his first test recordings his goal was simple and yet to be achieved - duplicate the sounds of live events on a re-playable medium. Obviously, we have advanced since the days of cylinder players, but also, obviously, we haven't gotten there yet. Only on rare occasions have I been convinced, even for a few seconds, that a recording was identical to a live event. The problem, as I see it, is that too much vital information is lost during the conventional recording process to recreate or fool a human with normal hearing capabilities. 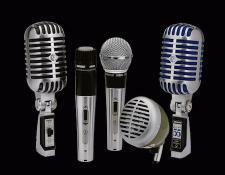 It starts with the microphone and proceeds through the various components in the recording and reproduction chain until it comes out, altered in subtle but pervasive ways that deviate from what we would have heard if we had been at a live musical event. 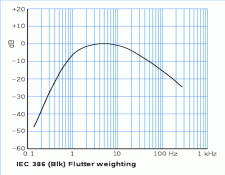 Going back to the microphone - the placement, coverage pattern, intrinsic frequency response, and microphone amplifier it is attached to all have an effect on the sound. And along with the subtractive effects of the signal chain are the added ones that are a results of that signal chain. For DI'd (direct input) instruments, the colorations come from the problems with their interfaces and the lack of spatial information (that is usually added artificially - panning mono sources to spots in the soundstage). Moving along the signal chain we come to the recording medium - analog or digital - both have issues that their detractors have made all audiophiles quite aware of. Wow and flutter plague tape recorders; time domain, filter issues, and over processing cripples digital's fidelity. On the playback side LPs add their own colorations as do the digital filters and analog circuits on digital playback devices. I have come across some pessimistic future scenarios that indicate that reproduced sound may NEVER get much better than it is today. That would be sad. 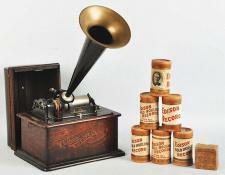 It would also mean that we audiophiles have lost the war for great sound, let alone "perfect sound forever." Perhaps I've been entirely off-base for all these years in believing that the goal of sound reproduction is to reproduce the live music event...Perhaps the audiophile road will lead to a dead end? But, it's obvious to anyone with ears that we still have a long way to go before we achieve the goal of recordings sounding like a live event, but the innovators in our industry are still progressing, still making gear that is gets us closer to that goal.